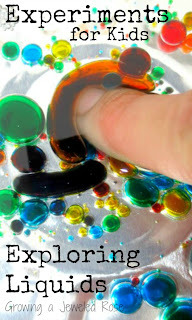 This activity was lots of fun for my girls and easy enough to set up. 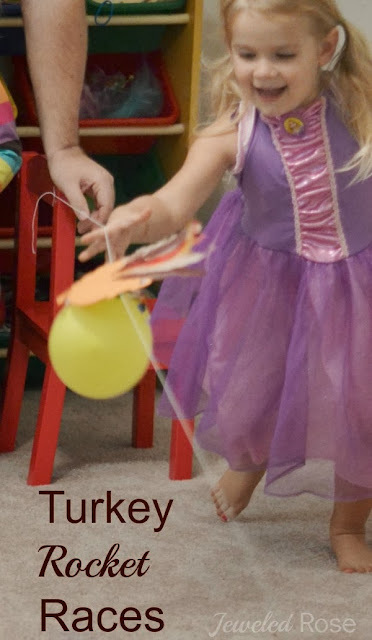 This is a great Thanksgiving activity. We had so much fun that we plan to do this again on Thanksgiving day. 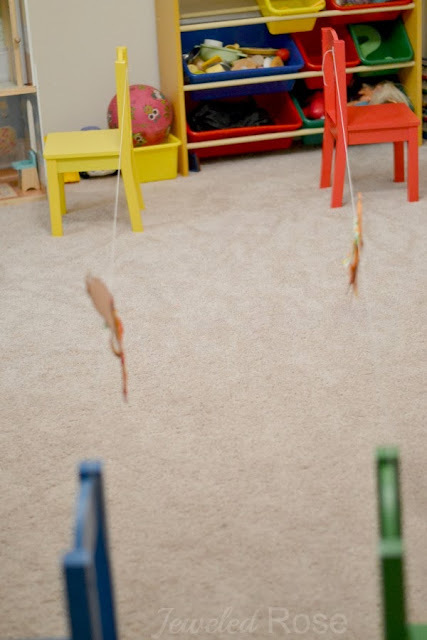 Make sure the string is pulled tightly between the chairs so that the rocket can move quickly. 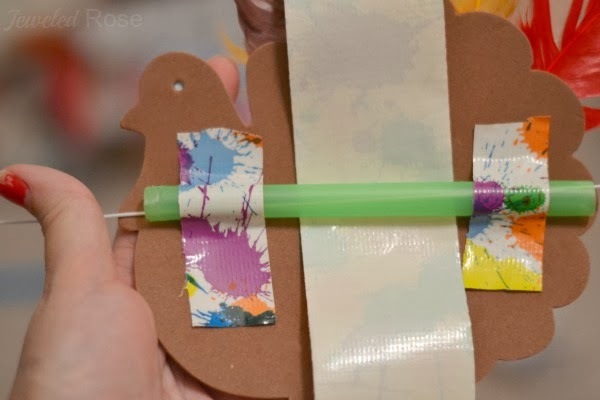 Once your track(s) are ready to go blow up two balloons and then use the extra piece of tape on the straw to attach the balloon to the straw and turkey. 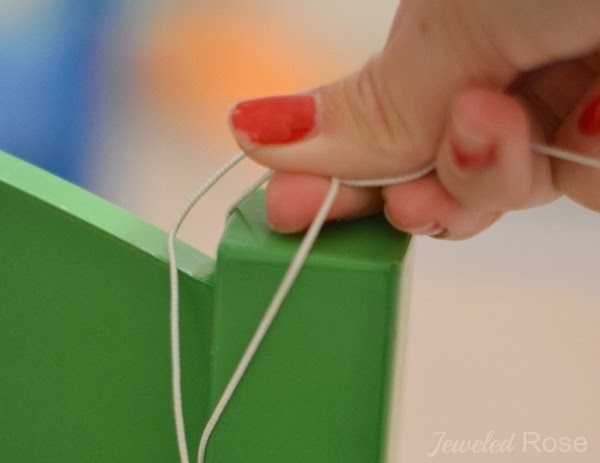 Do not tie the balloon or let the air out. 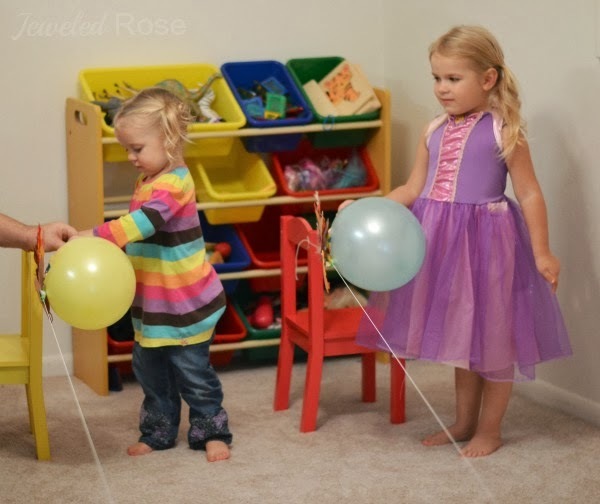 Rosie and Jewel both held their balloons tightly until it was time to launch. 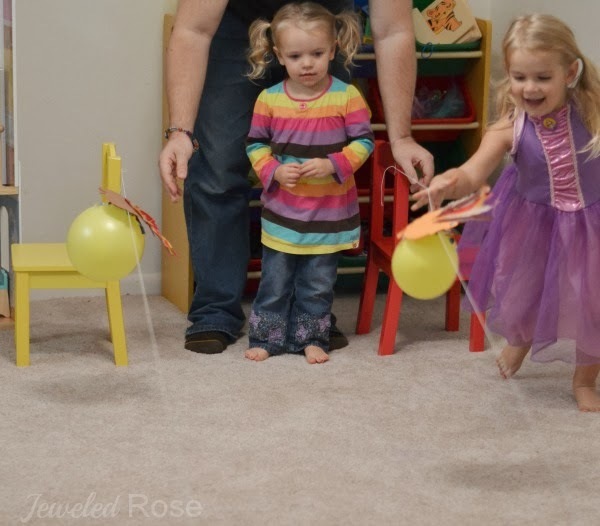 Rosie and Jewel raced their turkeys several times. One turkey always won, with the winning turkey rotating between Rosie and Jewel (thankfully). 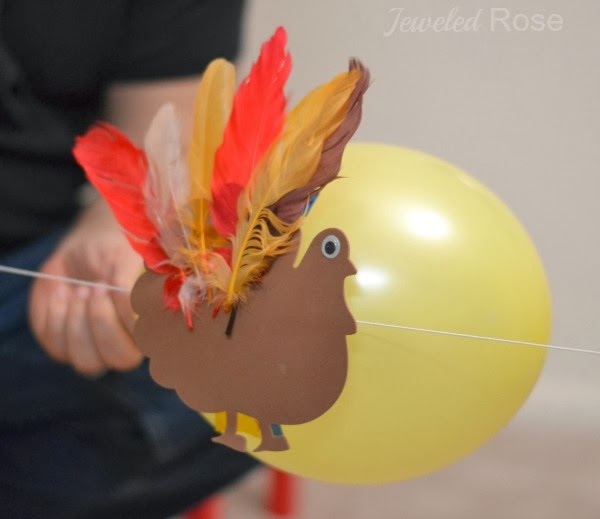 This was such a fun way to explore a bit of Science while also adding the element of the upcoming Thanksgiving holiday. 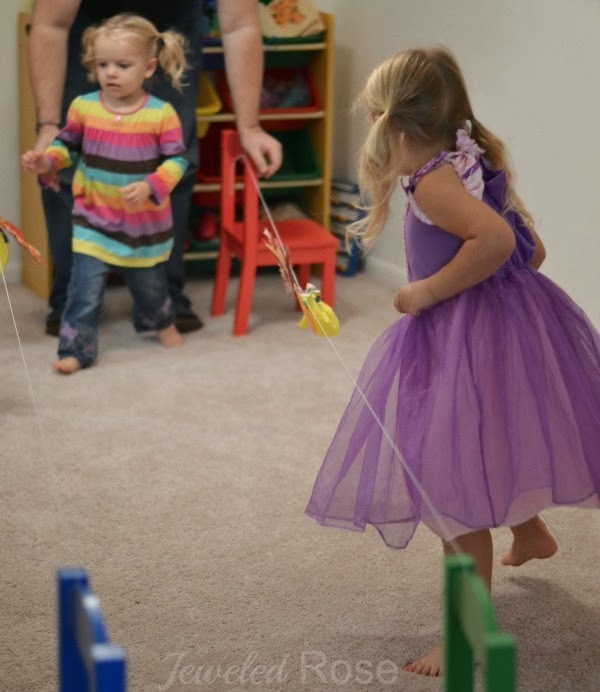 The Science Behind the Fun: To make an object propel forward there has to be force coming from behind it. This is a simple lesson in action/reaction. 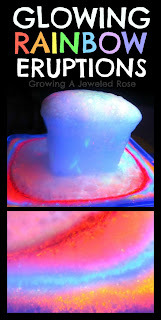 For even more on the Science behind this simple experiment go here. 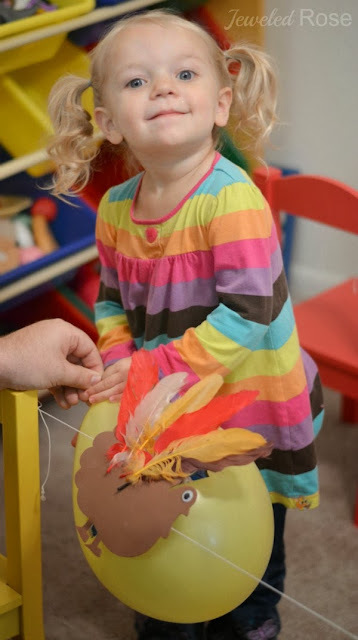 To make our turkeys: We used craft foam turkey cut outs purchased from Dollar Tree and simply added googly eyes and feathers. 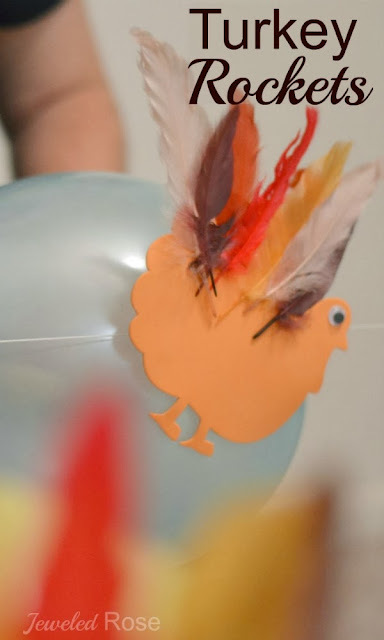 You could just as easily make the turkey body from construction paper or regular craft foam. 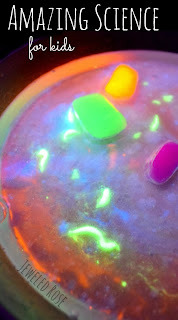 Follow our Science Pinterest board for tons more fun!